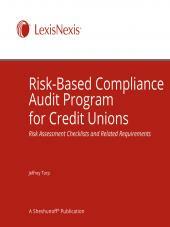 Tailored to the OCC's requirements, this manual provides clear compliance guidance, including coverage of all the consumer regulations, each regulation's purpose, requirements, exemptions, and liabilities for noncompliance. It offers detailed coverage of compliance responsibilities by function, compliance checklists, audit procedures, training guidelines, checklists, and sample forms and reports. It's an essential resource for compliance officers. Get Everything You Need to Monitor Compliance Throughout Your Bank — Tailored to the OCC’s Requirements! OCC examiners are paying more attention to the quality and scope of compliance monitoring. You need to have the right tools to satisfy the OCC’s expectations for ongoing compliance monitoring, prepare for your next compliance exam, and satisfy the latest risk management requirements on compliance more efficiently and safely. 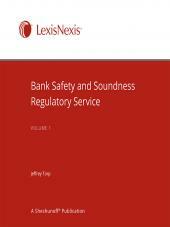 • Tailored to meet the regulatory and examination requirements of the OCC. • Focused on national banks, so you don’t need to spend time narrowing broad-based instructions to your needs. • Gives you everything you need in one convenient resource so you don’t waste time developing checklists and worksheets for each department or division. • Includes a complete internal compliance monitoring program broken down into reviews by law, regulation, and ruling. • Product/service guidelines refer you to all the regs and rulings that apply to lending products, deposit and nondeposit products, and to all the events that trigger specific regulations. • Sample work papers can be easily adapted to your needs, including a compliance monitoring schedule, risk sampling grids, a memo of request, and an internal review checklist. • Includes easily adapted example procedures, worksheets, and checklists for each regulation, law, or ruling. • Gives you monitoring procedures, worksheets, and checklists for all the lending products. Regulations and sections of regulations are grouped by the specific lending products they affect, and everything is organized into internal review programs for those products.